LG PC Suite latest version v 5,3.24 is released and ready to download directly from the link below. it is a latest updated for LG PC Suite Software. 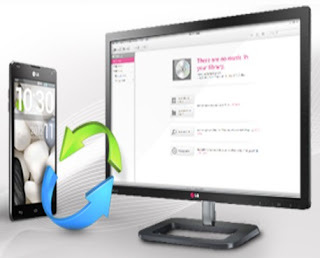 LG PC Suite is a dedicated tool that can facilitate the connection between your PC and your LG mobile device and helps you manage & transfer data between your PC and your LG mobile device. We always try to provide advance, updated, well working, free of viruses and free download links so that you could manage it easily. LG PC Suite is an easy tool by help of which you can manage data on your LG phone or tablet by providing USB and Bluetooth connectivity function. This connectivity procedure is called as Air Synchronization. A Bluetooth connection will give you the flexibility of not being tethered to your PC and be wireless while USB will be faster for data transformation. To use the LG PC Suite you will have to create an account with LG for syncing with their servers. You can back up your contacts, calendar, notes, photos, and music with the LG PC Suite. This makes it a capable backup system for LG devices. ti is free updated tool downloadable from the following link. LG PC Suite v 5.3.24 is associated with great features. When Download completes, Launch LG PC Suite Setup exe. If you want to download updated LG PC Suite version v 5.3.24, Go to the Link down and Click the link to start Download.